← DID BALTIMORE COUNTY POLICE VIOLATE THE CONSTITUTIONAL RIGHTS OF KORRYN GAINES? Some of Detroit’s current school board members and supporters who attended state loan board meeting in Lansing July 18 to protest theft of $1.5 B in DPS assets, $385 M more in debt. Dr. David Snead in 1994. It would appear that the Detroit News thinks I’m Public Enemy Number One (click on the News’ web tab, below). Actually, their very real fear that I may get elected has given my Detroit School Board candidacy some good publicity via this August 5 editorial. It masqueraded as a legitimate news article, even though this editorializing “article” clearly contains either carelessly or intentionally wrong information about me and [the] reform SPEED platform for Detroit schools, as well as neglecting to acknowledge how the schools got into their present sad fix. [That was] an entirely unwarranted state takeover commencing way back in 1999, at which time the district had a $114 million surplus and student test scores that were at the state midpoint and rising, but which now has a billion-dollar deficit and scores that are the worst in America except for those of the stolen and failing EAA schools. 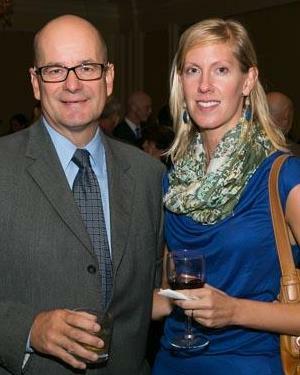 Detroit News editor Nolan Finley and writer Ingrid Jacques celebrate dissolution of Detroit. Anyone who has read my 2010 autobiography ‘A Life on the RUN – Seeking and Safeguarding Social Justice’ available at Amazon Books by typing in Dr. John Telford (www.AlifeontheRUN.com ), knows that I have opposed this disenfranchising state control of DPS and also that I never supported the teaching of ‘Ebonics,’ as Ms. Jacques erroneously asserts. Quite the opposite–I supported and continue to propound a counter-Ebonics instructional antidote for written and spoken non-standard dialects, and I set forth this instructional antidote in my Superintendent’s Academic Plan when I served pro bono in that capacity for ten contentious months in 2012-2013 as the democratically elected board’s appointee, wherein I clashed on an almost hourly basis with the gubernatorially-appointed Emergency Financial Manager of DPS. .Detroit School Board members Elena Herrada, Lamar Lemmons, John Telford with others announcing class action lawsuit for DPS students. 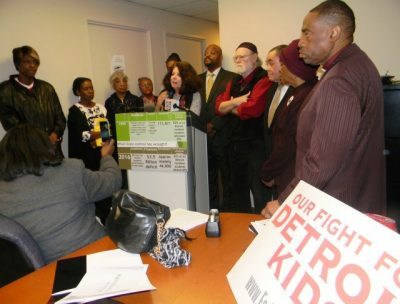 Every Detroit voter needs to be aware that the ‘disloyal opposition’ will back corporate-collusive Board candidates financially with the conspiratorial intent to see all Detroit schools chartered within two to three years and thus capture that billion-dollar market for their corporate overseers. Support your grass-roots-friendly SPEED Slate, which incidentally is endorsed by longtime schools activist Helen Moore–and e-mail me at drjohntelfordedd@aol.com or call me at 313-460-8272 for specifics regarding our SPEED Agenda and why SPEED-committed candidates must be elected to save our once-exemplary pre-state-takeover Detroit Public Schools and our resultantly educationally cheated schoolchildren. Any candidates who decline to commit to the SPEED agenda are either naively unaware of what is viscerally at stake here or are indeed wolves in the woods whose refusal to commit to the SPEED Agenda will flush them out of the woods and expose their true intentions. DPS students: their future is at stake. State Financial Review Committee package on DPS dissolution bills, etc. 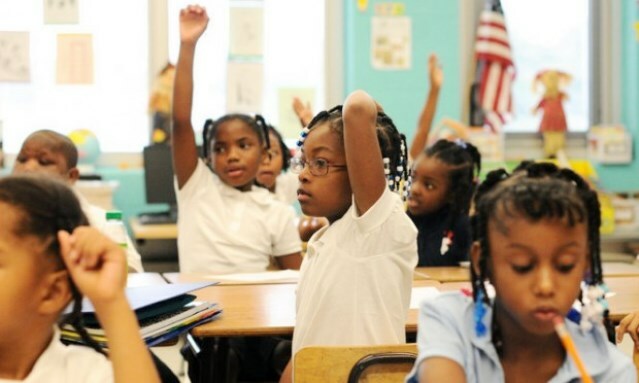 This entry was posted in Uncategorized and tagged Beatbackthebullies, BlackEducationMatters, blacklivesmatter, blacklivesmatterDetroit, DefendPublicEducation, MoneyforEducationnotforBanks, MoneyforEducationnotforwar, SaveDPS, saveourchildren, SaveOurKids, StandUpNow, StopSchoolClosings, StoptheWaronBlackAmerica. Bookmark the permalink.